February 14th is nearly on its way, and the color of these delicious strawberry-mint thin, crisp butter cookies is reminiscent of Valentine's Day. I'm planning a super romantic dinner for Lulu. I was home alone today, so I took the opportunity to start testing out some of the dishes to make a perfect Valentine's Day dinner. Pink was the theme color I was looking for. I couldn't find strawberry-flavored white chocolate at the store, so I substituted pink-colored mint chocolate apeels and bought some strawberry extract. The sandwich cookies freeze well, so I stacked and stored them for Valentine's Day. Unfortunately, after taste-testing the cookies I realized I forgot to make them heart-shaped! I was a little bummed out. 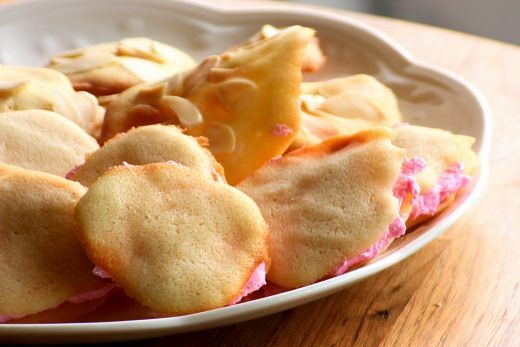 If you're planning on making these cookies for your sweetie, draw hearts on the other side of the parchment paper with a pencil, and pipe the cookie batter along the line of the heart. Oh well, I'm sure Lulu won't mind! ** Note: The strawberry mint Milanos are pictured with tuile cookies. No one can argue with the fact that American cookies are the best. When I lived in Paris and came to the US, I kept bringing a ton of American cookies home to my friends and relatives. 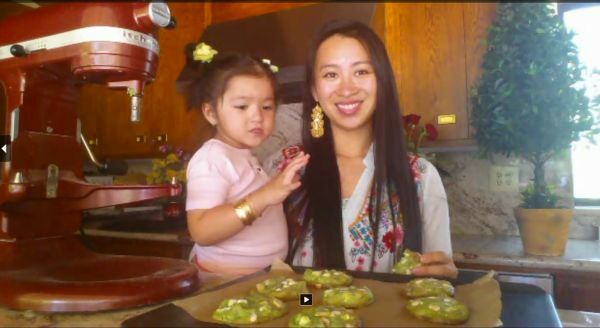 Cookies are always a nice treat no matter the age of the cookie monster or the occasion being celebrated. 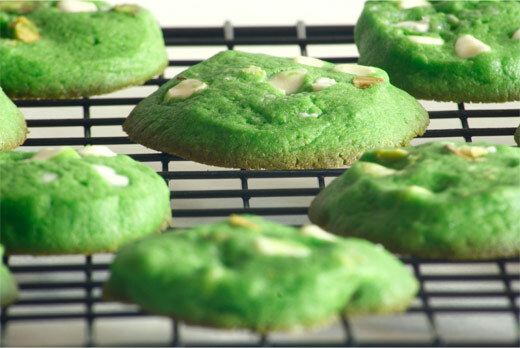 We thought Santa would appreciate and taste some of our homemade cookies with an exotic twist (pandan extract) for a change. Today is Christmas Eve and the girls decided we would leave some milk and cookies for Santa tonight. My little munchkin thinks she'll get more presents this way.